Identifying The Risk Factors And Making Homes Safer for Seniors – critical steps in reducing falls and fall-related injuries to seniors at home. Seniors injuries due to falls remain the leading cause of injury-related hospitalizations among Canadian seniors, and between 20% and 30% of seniors fall each year. 1 in 3 seniors will experience a fall each year, and half of those more than one. 40% of seniors’ falls result in hip fractures. 20% of injury related-deaths among seniors can be traced back to a fall. Seniors are injured AT HOME more than any other location. The bathroom and stairs are particularly dangerous. Falls and associated end results not only harm the injured individuals but also affect family, friends, care providers and the health care system. Most falls occur as a result of compounding factors that combine and overwhelm an older person’s ability to maintain or regain his or her balance. Research has identified numerous conditions that differentiate between older persons who fall and those who do not fall. Each older person may face a unique combination of risk factors based on life circumstances, health status, health behaviours, economic situation, social supports and the environment. Understanding what puts a person at risk of falling is a critical step in reducing falls and fall-related injuries among older Canadians. Home hazards that have been demonstrated to increase the risk of falling for older people include throw rugs and loose, worn or deep pile carpets; electrical cords in walkways; raised door sills; cluttered floors; poor lighting; slippery floors; poorly designed tubs, toilets and fixtures in the bathroom; no aids or poorly installed aids such as grab bars or hand rails; and pets that get under foot. What Can I Do To Lower My Risk Of Falling At Home? You can prevent falls by identifying the hazards and making the needed adjustment’s to your home and lifestyle, and by making sure you eat well, stay fit, and use whatever devices will facilitate your daily life while keeping you safe. Fire escape routes in the home must be kept clear and accessible at all times. Smoke alarms on every floor and outside every bedroom are absolutely necessary. Check the batteries in the alarms regularly. Install a carbon monoxide detector that sounds an alarm. Seniors who are deaf or hard of hearing should consider purchasing flashing or vibrating smoke alarms. Areas including stairways, porches and outside walkways should always be kept well-lit. Family members should update planned fire escape routes plans with seniors current capabilities in mind, and practice with them. Make sure there are two ways out of each room. Keep hallways and stairs uncluttered. Instruct seniors to call 911 from a neighbor’s house, and not to go back inside their home. If they cannot leave on their own, they should still dial 911. Place a telephone beside the bed, as well as slippers, house keys, eyeglasses and a flashlight. Ensure that you have non-slip surfaces in the tub and shower. Install grab bars by the toilet and bath to help you sit and stand. Make sure they are well anchored. Use a raised toilet seat, and a bath seat in the shower, if you need them. Wipe up moisture or spills immediately. Install night lights in hallways and bathrooms. Store household items on lower shelves so that you can easily reach them. Always wipe up any spills immediately to prevent slipping. Consider using non-skid floor products such as a non-skid floor wax. Always ask for assistance with tasks you feel you cannot do safely. Use a reaching device that you can buy at a medical supply store so you do not need to climb for an item. Replace appliances that are broken or not working properly. Install lighting in areas where sharp tools are used on a regular basis. Do not try to carry too many things at the same time. Have a place near your door where you can place packages and groceries while you close the door and get ready to put items away. 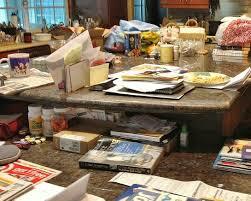 Keep all areas of the home free from clutter. Get rid of loose wires and cords as well as any other potentially hazardous items that could potentially cause injury. Dispose of any loose rugs or scatter mats and replace with one’s that are designed to be non slip. Repairing of loose carpeting and areas of raised flooring. Check the conditions of stairways and railings and replace with sturdy handrails accordingly. Consider purchasing a cordless phone or if you have trouble seeing, purchase a phone with larger numbers from a medical supply store. Cover sharp corners on tables or counter tops in order to avoid serious injuries in the event of a fall. Have good lighting installed throughout the house and install night lights. Always make sure that your stairs are well-lit. Have solid handrails on both sides of the stairway. Remove any objects or clutter on the stairs! Never rush up or down the stairs. It’s a major cause for falls. Keep front Steps and walkways in good repair and free of snow, ice and leaves. Keep the front entrance well-lit. Put gardening tools such as hoses and rakes away when not using them. Staying fall-free can help you to stay independent and avoid the need to enter a long-term care facility. The more risk factors a person has, the greater their chances of falling. Falls usually happen due to the combined effects of factors that can be prevented. On a positive note, many changes are easy to make and inexpensive. Changes can be simple, such as removing rugs. More complicated home modifications may require help of a professional, but there is government and non-profit groups available to help seniors. Some of these services, moreover, may be free of charge or low-cost. Click on our business card to find out more! So you’ve finally decided that’s it’s time for a long well deserved change. Good For You! You are now ready to move forward with a kitchen remodel. So exciting!!! After doing all your homework on finding that right contractor and the best of designers that are all local in your area, choosing your paint, flooring, sinks, countertops, fixtures, cabinetry, appliances, kitchen design layout and so on, you feel you can sit back, take a breath and relax. Your job is now done. Well guess what? Hold off on the thought of that glass of wine because there are quite a few things on your list that you should be doing to ensure your remodelling process runs smoothly. Don’t worry. It’s not too much work, but this preparation will help everyone involved. Now is one of those great opportunities that you may have been holding off for quite a while to get right into those cupboards and cleaning them out. Get rid of those items that you keep telling yourself “I can use this one day.” If you’re like me, well it’s been 2 years and that day has never come. I love to donate items in my home that I know someone could use. There’s always someone who knows someone needing something! Just make sure that you’re items aren’t chipped or broken or not functioning anymore. Remember your donating them so they can be re used, not giving away garbage. Besides, it keeps our landfills a little less filled and recycling is great for our environment and the planet. Keep what you really want and be realistic about what items you will really use in your kitchen whether its everyday use of items to your tools for entertaining. You’ll feel so much better when your project is done and it’s one less stressful thing to worry about afterwards. If you’re fortunate enough to live in a one story home where everything is on one floor, then bedrooms are a great place for you dishes. Other spaces located in basements, garages or cellars are great too but you’ll be having to transport everything from the kitchen up and down stairs and then back up again. Well, look on the Brightside, you’ll be getting lots of exercise! Going to a local grocery store and collecting sturdy, heavy-duty empty boxes like apple or banana boxes is a good idea to help start your process. These can be brought home a bit at a time everyday and can be used to start packing your kitchen items like dishes, cups, coffee mugs, utensils etc. Make sure to mark what’s in them once you fill them so you know where your items are easily when putting them back in your new kitchen. Boxes keep everything hidden, organized and less hazardous. To simplify things, start packing the kitchen items you know you will definitely not be using for a while, like blenders, mixers, certain pots and pans, coffee mugs, glasses etc. a little everyday. In reality, by the day before your project begins, you should only have a limited number of items left like dishes, a few cups, at few utensils etc. to remove out of the kitchen cabinets. Keep in mind, once your kitchen is complete is a good idea to wash all your kitchen items before putting them back in their new home. If your kitchen floor has already been redone before the Kitchen Remodeling process, then now is a good time to consider a few steps on protecting them. Consider scraps of carpeting which you can purchase, and lay them down all over the kitchen floor securing them by taping them down with duct tape so that they won’t slide, but be careful doing this on hardwood flooring as the adhesive might damage to the finish. Don’t be too concerned or picky about the colour or the look of the these carpet scraps, they’re not a permanent fixture. Their purpose is purely functional not permanent. Carpet padding is another option of added protection under the carpet to help keep your tile or hardwood flooring from the least minimal damage during the remodeling process. Remember, your contractors will be working in this area. They will be moving and using heavy objects needed to do their job that might scratch, crack, dent, chip, or otherwise cause damage to your finished floor. So it’s day 1 of the kitchen remodel. Have I mentioned this is so exciting? 4 different contractor vehicles pull onto your street. They need to park close by to the house or maybe on your property. What do you do? To make things run a little smoother, try parking your own vehicle somewhere on the street where permitted or ask your neighbours if you can park your vehicle in their driveway for a while during the day until they go home for the day. Then you can move your vehicle back into your own driveway again. Don’t forget about those “special” items like school photos, A+ school test scores, birthday cards from family, invitations, calendars and just about anything else of vale you have out in the open. It’s a good idea to remove theses items. There may be a situation where the contractors will have to move your appliances into another room in order to get the work done. Clearing out you plants and any collections of items along your window sills is another great idea to keep them from getting damaged. Why Do All This? Well, remodelling, especially a kitchen is stressful enough. By preparing yourself in advance you can reduce the risk of having your personal valued items damaged and enjoy peace of mind knowing that they are stored in a safe and secure place. Making your contractors environment accessible to work in without them having to worry about damaging anything is a good thing. They’ll be happy knowing that they can focus clearly on the task at hand. By incorporating some of these tips along with your own ideas, you will ensure a smooth start to the remodelling process. Results are in from our last poll asking our followers: Customer Service-How Important Is It To You As A Customer? 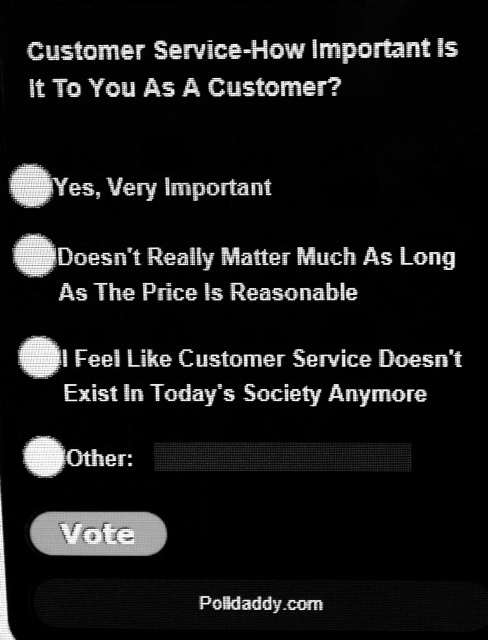 18% of our voters answered: I Feel Like Customer Service Doesn’t Exists in Today’s Society Anymore. Thanks for participating. Don Of All Trades Professional Home Maintenance Services welcomes your comments! The majority of the public work hard and long hours in this country. The weekends come and go. For some of us the weekends are the days of catching up and getting errands done at home. There’s just never seems to be enough time to get things done and to really enjoy and relax on the weekends. It’s no wonder some of us are tired and seem miserable. For some companies in retail for example, weekends are the 2 days they rely on for the best sales and profits. When I go into a store to shop, I’m not thinking about the store’s sales increases. First thing on my mind as a customer is to get in and get out. I don’t have the patience for long lineups and poor customer service. I know once I’m done I have to load and unload my vehicle once I get home and get everything put away. Been there. Done that. One more thing off the list. New outlets of advertising a businesses is always changing. Avenues like social media, internet and you tube for example are just a few tools to name to get your brand out there to the world. Bottom line though, Customer Service will always remain the same and should be considered a #1 priority on your list in any business. How you practice Customer Service skills can create a positive or negative impact on your business. Below are a few tips and ideas on how to improve your customer service skills to get the best results in your business. So at 8am in the morning, your customers are the first person they see to the start of their day. You as an employee or store owner could just make that customer’s day so much better and take some of the anxiety away by just simply greeting your customers. Nothing makes someone feel better than actually being noticed with a pleasant “Good Morning!” or “How are you today?” I’ve experienced customers getting actually “thrown off guard” and looking behind them thinking you’re talking to someone else, when in fact you’re talking to them! It makes a person feel comfortable and important. It’s a wonderful feeling knowing that your organization was a truly great experience for them and will come back over and over again. Always remember to treat your customers with respect. These are the people who pay you, your employees and the bills! Treat them like they are your guests. Provide great customer service. Make them feel that they can come to you if they need any assistance, have any questions or concerns about a product or service. There is never such a thing as a bad question. If you don’t have an answer for them, let them know that you will find someone who can! Go above and beyond. Over the years I’ve made it a mission to get to know our customers by name. Building a relationship with our customers is one of my top priorities. You’d be amazed how much a customer is willing to tell you about themselves. Hey, they are human beings too just like everyone else. Your customers will come back to you time and time again and refer your business to others because that special relationship and pleasant experience. Wouldn’t you want to be somewhere where everyone knows your name? Doing a simple gesture as chatting with a customer can be a very powerful tool. It can let an owner know about how well their businesses is doing and or any improvements and suggestions that can be made to improve it. Customers pick on your attitude. Leave your personal issues at home. We all have bad days at work but no one will notice it more than your customers. If you are a business owner, learn to treat your employees with respect and acknowledge their accomplishments. Letting them know what a great job they are doing will uplift their spirits and make them feel appreciated and will work harder for you. When your staff are happy, they’ll come to work with a positive attitude and the customers will see this. Issues at work should be dealt in a professional matter in the appropriate place like your supervisor’s office or Human Resources Department. There’s nothing worse than hearing staff complain about issues while your customers are shopping or using your services. It makes it a negative impact on the business and bad experience for the customer. People don’t want to be around miserable people and it’s not professional. I remember a situation where I had a regular customer come in one morning. He came in to buy a particular bread that we baked every morning for his wife who was at home extremely sick. He was anxious to get home. I couldn’t give him the bread as it was still baking and would require some time to cool down before I could place them in plastic bags along with the label. Really there was nothing I could do. He was so persistent and getting upset. Because I have such strong customer service skills, I asked him if he lived very far. He was surprised I asked this question. He replied about 5 minutes away. I offered a solution. I made a deal with him. Once the bread was ready I would personally purchase the bread come to the house on my break and deliver it to him and his wife. He was shocked that I would do something like this. He thanked me so much and said he would come back later. 2 weeks later he came back to the store with his wife and other family members. He introduced me to his wife and wanted to personally thank me for the nice gesture I offered. It was a wonderful feeling and whenever they came in to shop they always came to see me or request for me to help them with any assistance. Sadly to say, his wife passed away. To this day I will always remember the opportunity of meeting this wonderful man and his wife. So as the title says: Discover The Impact You Have Around Customers. In this case I feel these customers had more of an impact on me that day then the other way around. It’s always exciting when a business has a new product or service that a customer can benefit from. Don’t keep it a secret. Let everyone know about it. Do research and education your staff on it so that they all have a better understanding. This way they can communicate back to the customer. Whenever we have a special offer, I can’t wait to tell the world about it. You’re customers pick up on that excitement and interest and will want to know more about it and tell their friends and family about it. Great deals or campaigns can be advertised via so many avenues today. Social Media, Campaigns, Emails, Flyers , Newspapers or Store Front Signs are some great ways to advertise. Customers can’t wait to tell others about a New Product they benefited from! 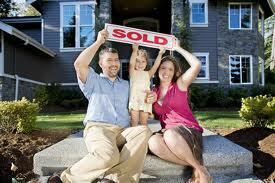 So you’ve decided on making the “BIG” move and sell your home. Now’s the time to get that TO DO LIST done that you’ve always said you’re going to get around to do. Below are a few tips on getting those repairs and upgrades done that won’t break the bank but can help you sell your home faster. •Replace cracked floor or counter tiles. • Patch all holes in your walls. •Get those leaky faucets fixed. •Check doors that don’t close properly and kitchen drawers that jam weather opening or closing and get them fixed. •Fresh coat of paint goes a long way and consider painting your walls neutral colors. If your home has carpeting over hardwood floors, consider removing the carpet and to refinish the floors because hardwood is what buyers want. Plywood subfloors should be replaced with light tan carpeting . Neutral carpeting is your best choice for resale. All chipped or cracked tiles should be replaced. Grout should be cleaned or replaced. Some say not to install ceramic (because it’s too expensive) but it’s your budget and your call and is great for aesthetic reasons in an entry way. Ceilings with signs of a leaky roof and from grease or smoke and ceiling cracks should be repaired and painted. The same applies to walls. Nothing says freshness like new paint, and it’s the most cost effective improvement. Use fiberglass tape on large cracks, cover with joint compound and sand. Paint a neutral color such as light tan or taupe. Not everyone hates wallpaper. They hate your wallpaper because it’s your personal choice and not theirs. And this applies to all dated wallpaper. Get rid of it. The easiest way is to steam it off by using an inexpensive wallpaper remover steamer. Even if your wood paneling is not real wood but composite, you can paint it. Dated paneling must go. Older wood paneling such as walnut, mahogany, cedar and pine, it’s all gone out of style. Paint it a neutral and soft color after priming it. Remember the Older popcorn ceilings with the “sparkles”? Well guess what? They often contain asbestos and if disturbed are health hazards. So consider getting rid of it. It’s that’s expensive but time consuming to remove. Lay down drop cloths and scrape it off. You will need to repaint. Resurfacing is your best option. This involves attaching a thin veneer to the surface of the cabinets and replacing the doors and hardware Compare Prices. If your cabinets are painted, add a fresh coat of paint and new hardware. 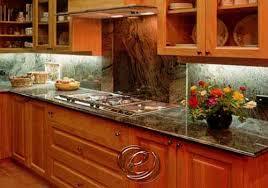 Granite counters can be considered but not necessary. Simple laminates, newer faucets and sparkling sinks sell. Buyers don’t want leaky faucets or stained sinks. The national average of recouped cost is more than 100% for bathrooms. New floors, fixtures and lights payoff! If your home needs a new roof then get it done! Buyers tend to shy away from buying a home if the roof needs to be replaced. Thanks for taking part in our poll!